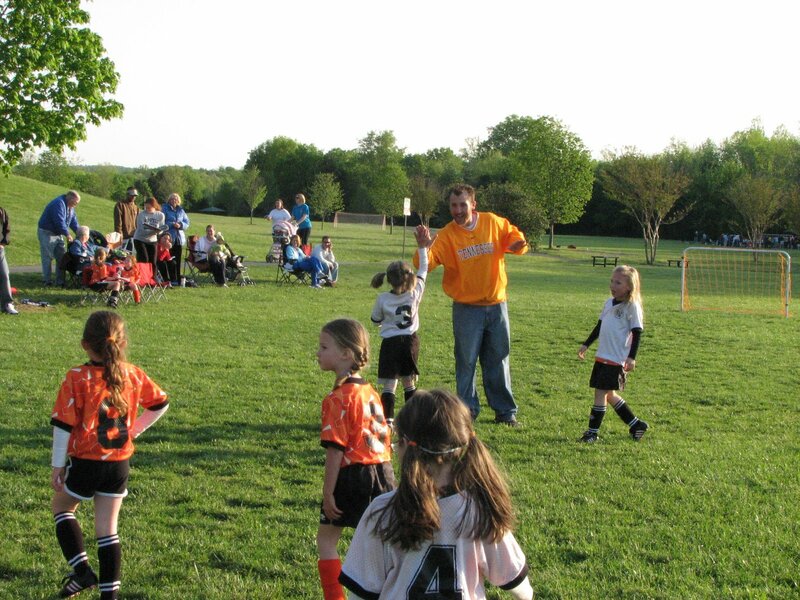 LG expressed the sentiment today that he really misses coaching the girls in soccer. We suckered Clint into the coaching gig this season. Because our lives have been so hectic, we thought we deserved a little break. Clint was so gracious to embrace his new responsibility and he has been a great coach. But, he is a non-twirly coach…in fact, he is an anti-twirly coach. What is a non-twirly coach, you ask? It’s the kind of coach that picks his team players up one by one and twirls them around in the air every time a player scores. Now any of you that are “real” athletes know how ridiculous this is. Clint is an “athlete”. What does he do when the girls score? What any real athletic coach should do. And, look, how happy the girls are to join in the ritual. Forget this twirly thing!!! We all could live a lot happier with a good old fashioned Hi-five from time to time. 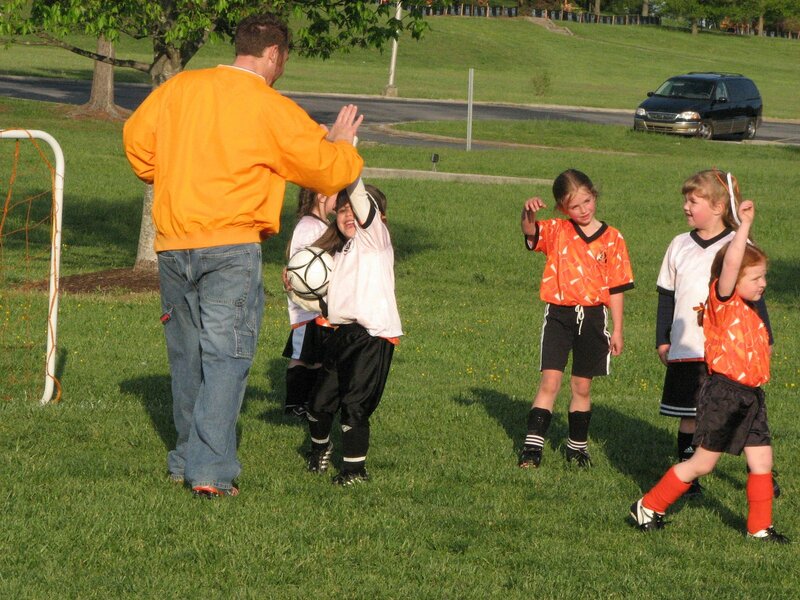 Twirly coach, very funny.I too love “high fives”. My sister totally makes fun of me because I demand them over the littlest things, but hey. They make you feel like a winner!